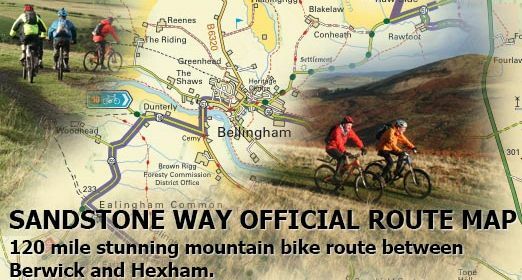 ​There are several cycleways passing near to Hexham including the picturesque Sandstone Way. Sandstone Way is a new 120 mile / 193 km (approx) mountain biking route in Northumberland and stretches from Berwick-upon-Tweed to Hexham. It links, and is named after, the numerous sandstone features, crags and outcrops which are characteristic of the region. There are a number of B&Bs and self-catering accommodation providers along the route.